Three Palestinians were killed Sunday in an Israeli air strike on the Gaza Strip, the health ministry in the enclave said. Ministry spokesman Ashraf al-Qudra said emergency crews were transporting the bodies of the dead, who appeared to be in their early teens, to hospital in Gaza. The Israeli military said that one of its aircrafts had fired on a group of Palestinians near the Gaza border. 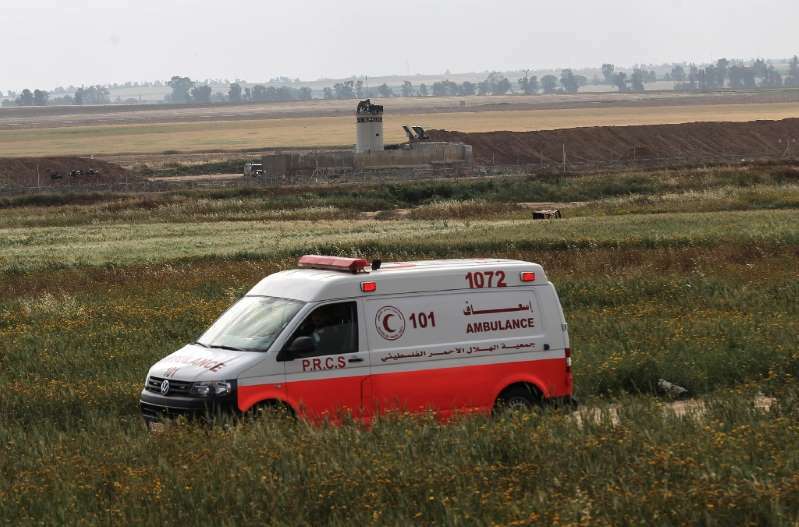 "A short while ago, three Palestinians approached the security fence in the southern Gaza Strip, attempted to damage it and were apparently involved in placing an improvised explosive device adjacent to it," a statement said. "In response, an IDF (Israel Defence Forces) aircraft fired towards them." Tensions have been high along the Gaza-Israel frontier since Palestinians began a wave of border protests in March. At least 217 Palestinians have been killed by Israeli fire in the months of demonstrations and clashes along the border. One Israeli soldier has been killed during the violence over the same period. Israel and Palestinian militants in Gaza, run by Islamist movement Hamas, have fought three wars since 2008. Several military flare-ups have occurred in the months since the protests began, prompting fears of a new war between the two sides. The latest came when Palestinian militants from Friday into Saturday fired dozens of rockets into southern Israel, which responded with extensive air strikes. The violence came to an end after Islamic Jihad, the Palestinian militant group that launched the rockets, said it had agreed to an Egyptian-brokered truce. Israel says it holds Hamas responsible for any violence coming from the Gaza Strip and has accused the group of using the protests as a cover to attack its border.